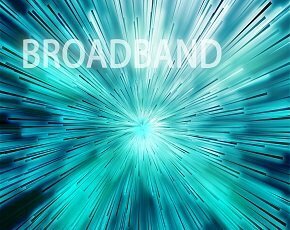 Communications minister Ed Vaizey has launched a new initiative he hopes will accelerate the roll-out of broadband across the UK. Named Fast Start, the idea is to bring together government ministers, local authorities and any partners involved in deployment in a certain area at the start of the project to iron out details and avoid complications further down the process. Issues such as powering cabinets, organising street works or dealing with planning permissions have been known to hamper broadband installations in the past. It is hoped that assembling all parties to agree on solutions on day one will stop any delays. Norfolk, which is embarking on a £41m scheme to roll out improved broadband connectivity, will be the first county to undertake the Fast Start initiative. Norfolk County Council is putting up £15m for the project, matched by equal funding from central government. BT – which has won the deployment contract – will contribute £11m. Ed Vaizey today visited County Hall in Norwich to show his faith in the Fast Start scheme. “Norfolk is on track to double access to superfast broadband for homes and businesses, and by having these discussions now, we can help ensure that the people of Norfolk will receive all the benefits that superfast broadband has to offer at the very earliest opportunity,” Vaizey said. Ann Steward, cabinet member for economic development at Norfolk County Council, said she was pleased with the progress today’s meeting brought to the area she represents. "There is a real commitment from everyone involved in this project to get Norfolk's broadband networks upgraded and provide faster services as soon as possible,” Steward said. “This morning's meeting gave us an opportunity to go over the plans with BT and central government representatives in detail and ensure any potential barriers to getting the on-the-ground installation work underway can be acted on now. “It was extremely helpful to have central government input and this meeting helps puts Norfolk in the best possible position so that people living and working here can start to benefit at the earliest opportunity."